Choosing a photograph from Harriet Kirkpatrick's yard took me about as long as it did to choose a name for one of my children. When there are 500 hydrangeas in numerous garden rooms around a charming house on a big corner lot, it's nearly impossible. Every place you look, it's breathtaking. So, I eschewed the photos of the fabulous 'Annabelle' display in the front yard and passed up views of the sea of white and pink and blue and purple macrophyllas that fill the side yard and the large area between the back porch and a former playhouse. I finally settled on the above "room", just inside a gate that leads to the adjacent street (where there is a long bank covered with 'Nikko Blue' mopheads). I also had nice shots of others that spill over an antique iron fence that came from Harriet's father's house in Cairo, Ga., where she grew up. Harriet has had hydrangea fever for a long time. 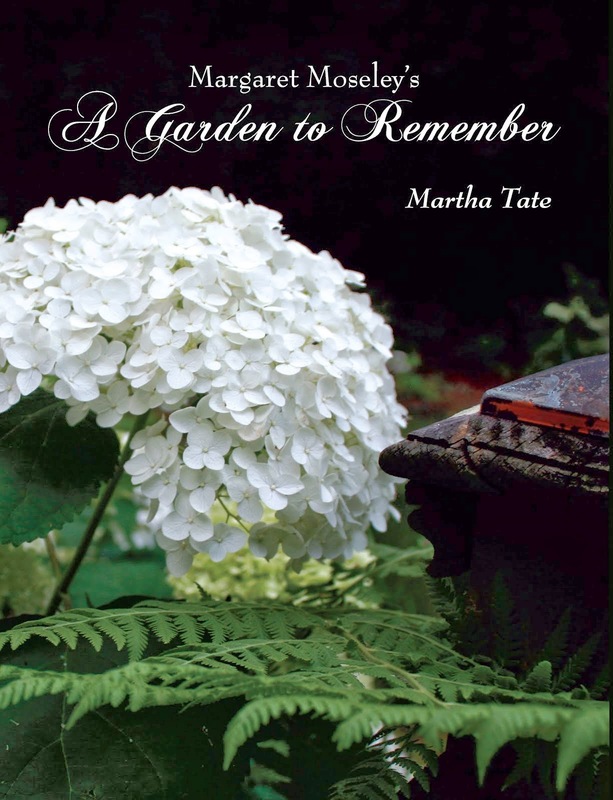 When she met the late Penny McHenry, who founded the American Hydrangea Society and whose garden was called Hydrangea Heaven, Harriet became a disciple. Harriet figures she has about 50 different varieties. Some blooms are as big as a soccer ball. The colors go from deepest purple to light pink, lavender, mauve, pure white and all shades of blue. When I admired a light pink one she had in front, Harriet pointed out that those same flowers were blue last year. You never know, she says, and it varies from year to year. Harriet is well-known in Atlanta garden circles and has done some garden design for friends. I remember seeing some wonderful containers she put together years ago with a mix of herbs and flowers. She also volunteers her time in the garden of an Atlanta hospital. I'm trying to find a macrophylla that will stay white (I can't grow the 'Annabelle' types, because the deer mow them down; for some odd reason they haven't ever bothered the big leaf ones - knock on wood). Harriet thinks 'Queen of Pearls' will do the trick, and is layering one for me. In the meantime, I'm going to start building up the soil in the areas where hydrangeas would grow. Seeing Harriet's magical garden makes you want every hydrangea in the world. There is one slight disadvantage to having so many beautiful flowers. The hydrangeas planted along the street have proved to be too tempting to passersby. Once, someone stripped an entire plant, Harriet says. When I was there, she pointed out where a hydrangea thief just the night before had helped themselves. There are so many flowers, though, it is hard to see that any are missing.